This over-the-top luxurious aquarium-themed ensuite takes out-of-the-box design into a whole new level. The wooden floors and the blue accents go so well together that they emphasize the pure white bed. 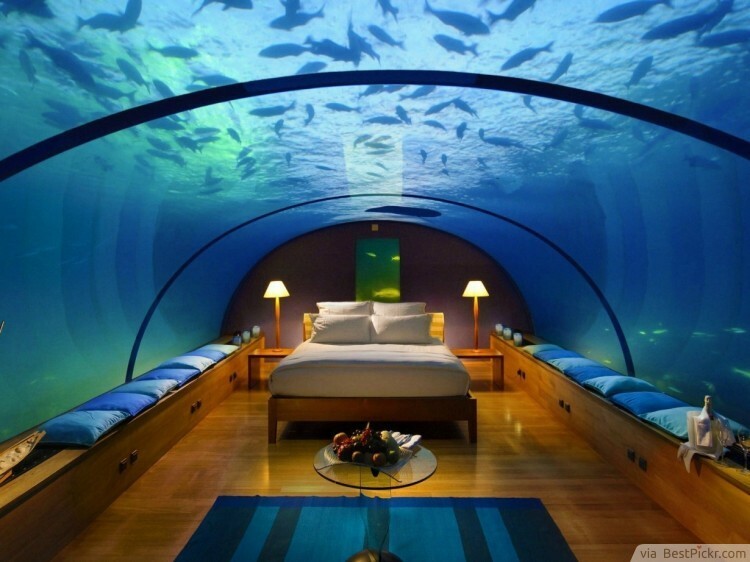 This under water design is perfect for someone who is looking for a 5-star hotel sanctuary after a long, tiring day.